Watersheds are the beginning of a defined ecosystem. They are defined by the high points of land that cause the rain water to flow toward one river/stream or another. They can be large or small depending on what you are looking at as a creek has its own watershed but is also part of a larger watershed where it joins a river. All of the watersheds then flow down to the ocean by streams or underground flow or seepage. Project Watershed has been involved in stewardship in the Puntledge River for many years and continues to carry out research to determine ways to improve conditions for the salmon that populate the Puntledge. The Puntledge watershed includes parts of Strathcona Park, Comox Lake, the Comox Glacier and numerous creeks coming off the mountains framing the Glacier. Lower down, it also includes the Browns River and Morrison Creek. 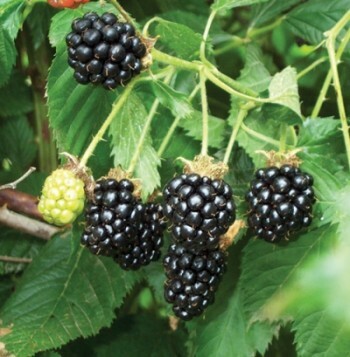 Since the watershed covers urban areas, as well as forested wilderness, areas that are almost at sea level as well as high peaks, the needs of the ecosystem are very diverse as are the species that rely on it. Some of the problems that have been studied are the effects of the dam on salmon that are trying to get to Comox Lake to spawn as well as the issue of rising water temperatures in the summer as all of our fish species need cold water for survival and reproduction. Although we think of fish primarily when we think of watersheds, that is just a small part of what makes for a healthy ecosystem. 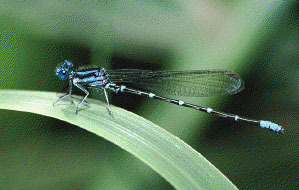 The fish need vegetation for shade to keep the waters cool as well as to bring insects for the fish to eat. The birds and mammals rely on the fish for food directly by eating the fish or indirectly by eating the plants and other organisms that are fed by the fish. 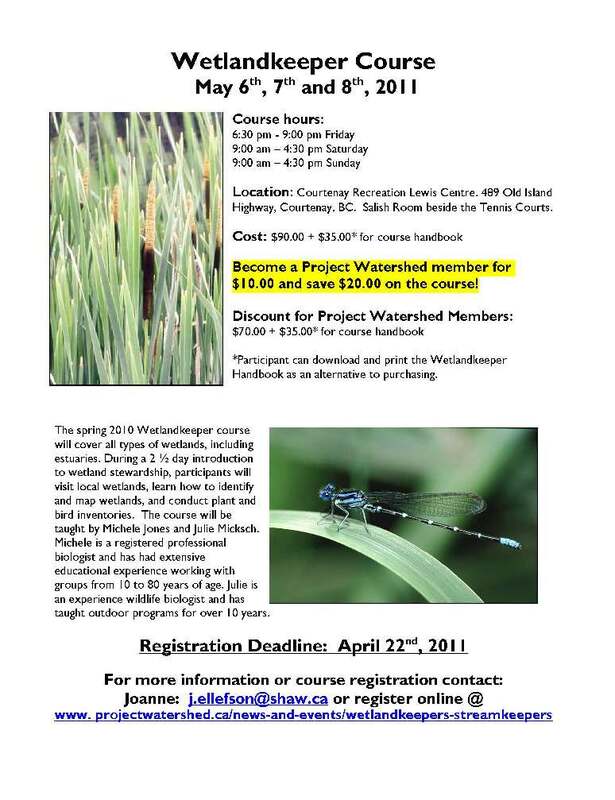 If you want to learn more about what is needed or how to identify a healthy watershed then Project Watershed offers streamkeeper courses periodically throughout the year. 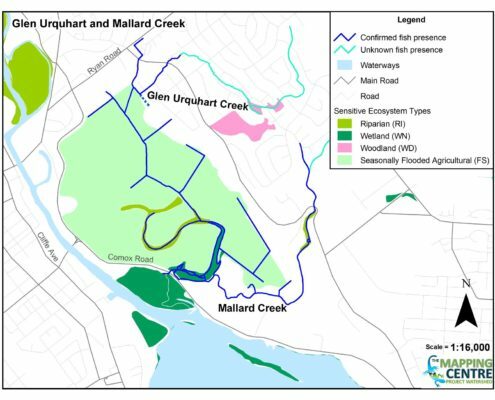 Alternatively you could join the Mallard/Glen Urquhart Streamkeepers group that has recently been instituted by Project Watershed. Project Watershed has been heavily involved in stream stewardship in various ways over the years and has ran projects focused on mapping, education, restoration, protection and research. 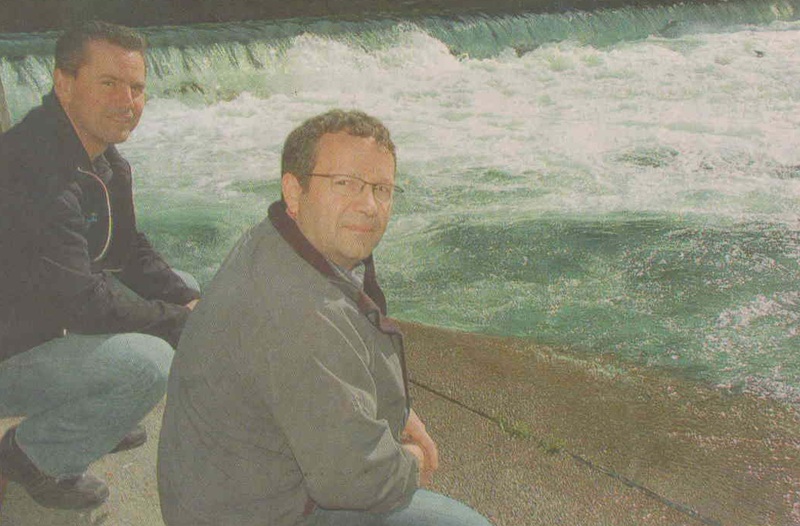 In 1995, Project Watershed created the Sensitive Habitat Stewardship (SHS) Program which was designed to gather and disseminate accurate information regarding locations and conditions of sensitive habitats, and to increase public awareness and understanding of local watersheds, the program has spawned many protection and restoration efforts in the Comox Valley. 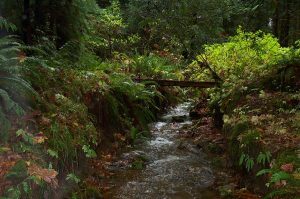 The Comox Valley Salmon Streams Stewardship Project focused on developing stewardship of sensitive fish and wildlife habitat on private land in the Comox Valley. The objective of this long term effort was partnership building among local government agencies, landowners and organized stewardship groups to improve protection and restoration of sensitive habitats when land development activities occur. Project Watershed worked closely with staff at the Regional District, and implemented projects in partnership with groups such as the Tsolum River Restoration Society, Morrison Creek Streamkeepers, Millard/Piercy Creek Watershed Stewards, Brooklyn Creek Streamkeepers, and other regional groups such as the Land Trust and the Naturalists. More information available in our final report…. This series of projects is an evolution of our work focused on sensitive habitat stewardship. 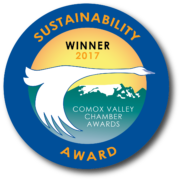 Our activities here are focused within the largest and most important watershed in the Comox Valley. 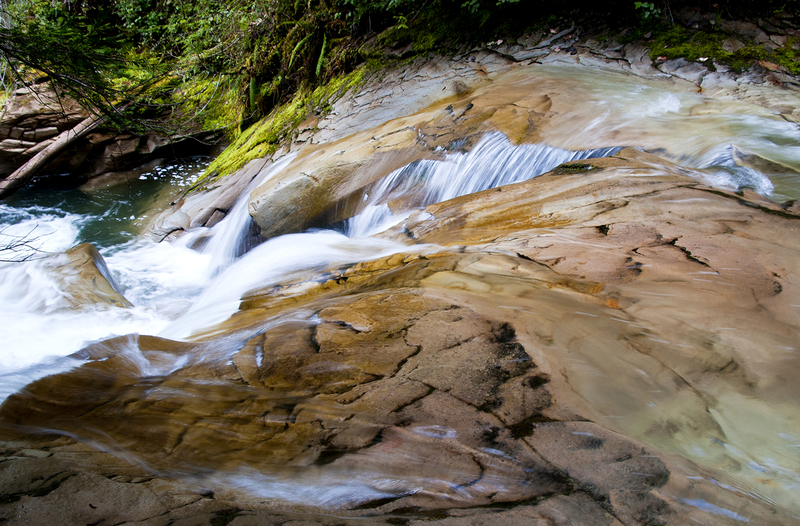 The Puntledge River, flowing through Comox Lake provides community drinking water and is important for hydroelectric power generation, and for world class recreational opportunities. This watershed also historically supported one of the most productive salmonid fisheries on the East Coast of Vancouver Island, and it empties into one of BC’s most important estuaries, providing rich habitat for a wide range of fish, wildlife, plants, migratory birds, and shellfish. The goal here is “to foster community knowledge, attitudes and behaviours that engage citizens in actions that protect our drinking water quality and benefit healthy fish and wildlife populations in the Puntledge River Watershed”. 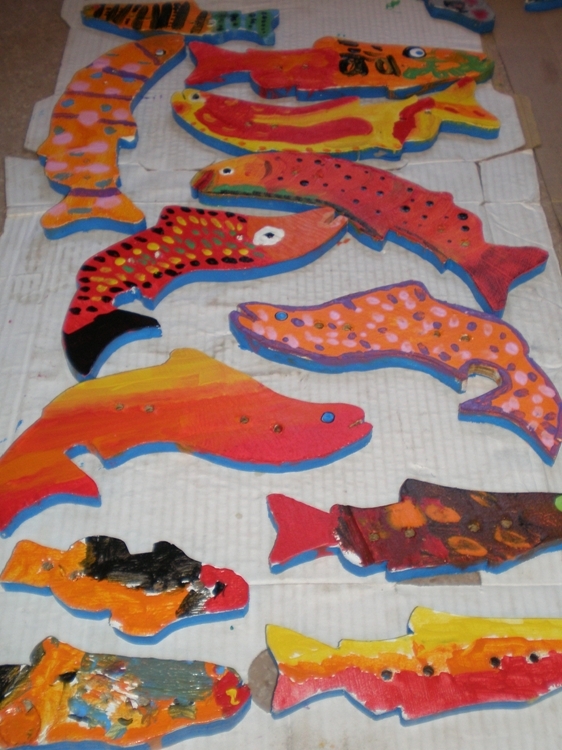 This series included a public outreach component (press releases, watershed walks, River’s Day event, newsletter distribution and volunteer events) and an in-school component (SalmonNation, Stream of Dreams, and Sierra Club’s GreenStar! Program). 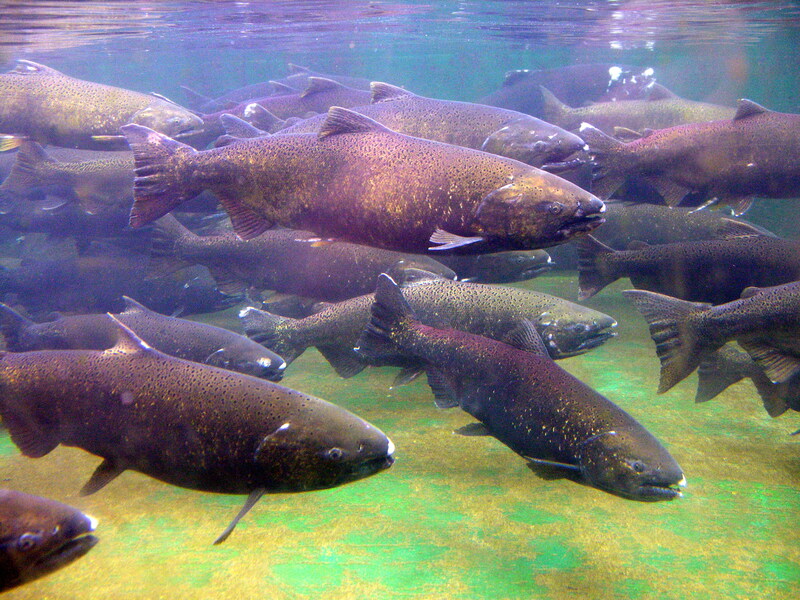 Much of our work in the Puntledge involves partnering with agencies such as BC Hydro, Fisheries and Oceans Canada and the Puntledge River Restoration Society who are keen on conducting research and habitat improvements that benefit a unique and endangered stock of summer-run chinook salmon. 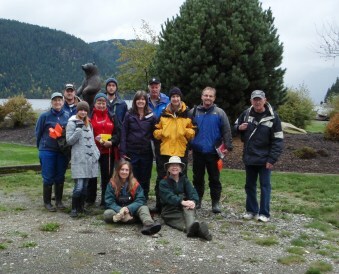 An activity of this program was a major symposium in 2008 focused on the Courtenay River Estuary which drew more than 300 people together.